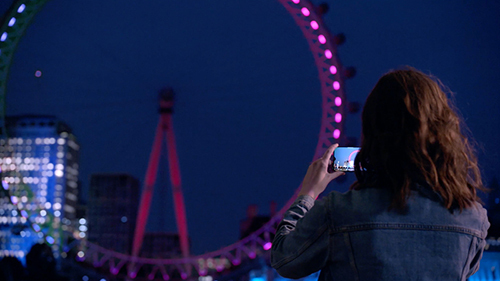 14/01/2019 London, UK – OPPO, one of the largest mobile technology brands in the world, adds the UK to growing list of markets. The company is serving millions of customers with pioneering products in more than 35 markets and 400,000 stores globally. As per Q3 IDC report, OPPO is ranked 4th in the global smartphone market (based on global sales)* and positions the brand as one of the leading innovators in an ever-evolving landscape**, with 6 R&D centers and 10 factories around the world to develop key technologies and exceed customers’ needs. For the last 10 years, OPPO has been at the forefront of developing cutting-edge technologies for mobile devices, creating loyal fans the world over. Last year it sold 29.9 million units**** and the outstanding Find X, alongside the newly released R-series, has been a major contributor to this success, helping the brand gain global attention. The UK launch expands OPPO’s presence in Western Europe following recent launches in France, Italy, Spain and Netherlands, and is a pivotal milestone in the brand’s long-term plan to establish a presence in the European market, to help strengthen ties with stakeholders and partners As a global brand, OPPO has extensive expertise with localized strategy, with a particular emphasis on introducing new products and services to exceed the needs of local customers. In 2019, OPPO will introduce new handsets and continue to deliver groundbreaking technology inspired by latest trends and customer demands. In 2017, OPPO was ranked as the number 4 smartphone brand globally, according to IDC. And today, OPPO’s business has covered more than 35 markets, and has 6 research centers worldwide, providing excellent smartphone photography experience to more and more young minded people around the world.